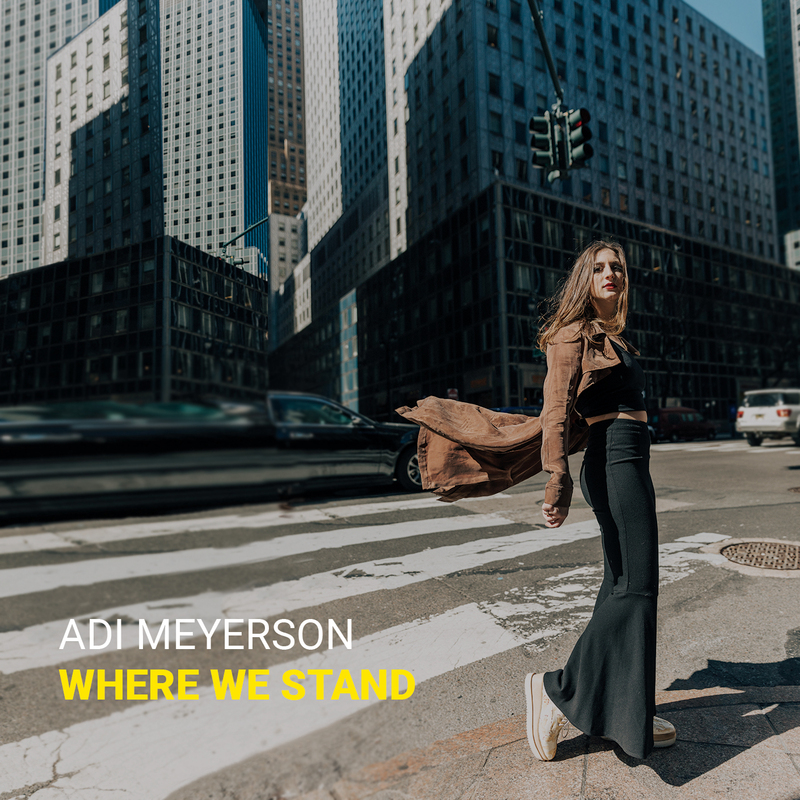 Bassist and composer Adi Meyerson is proud to announce the June 5th release of her debut album Where We Stand. Alongside the distinct stylings of special guest vocalist and guitarist Camila Meza, Where We Stand features stalwart tenor saxophonist Joel Frahm, trumpeter Freddie Hendrix, pianist Mike King and drummer Kush Abadey. Where We Stand, signified by the title track, and as a whole, represents times of uncertainty and change. Through this dynamic music, Meyerson displays how these particular moments, although unpredictable and ambivalent, can sometimes also carry a feeling of excitement and anticipation. For Meyerson, the album title feels relevant to her, both as an individual and as a part of the current social climate we all live in today. Adi Meyerson’s nine-track opus is at once reflective and celebratory. Written over half a decade, Where We Stand takes its inspiration from Meyersons’ five years living in New York City, where she has established herself as a staple on the downtown scene. Although difficult to pinpoint specific experiences that inspired these compositions, Meyerson knows that every day and every encounter somehow found its way into the music.